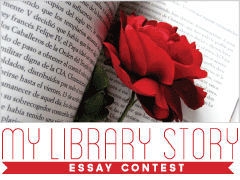 FREE eBooks from Library Contests! 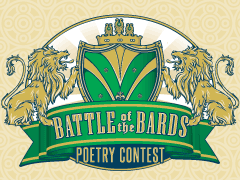 To celebrate National Poetry Month, the Poudre River Public Library District created this special program to engage both adult and teenage creative writers in our community for a multi-generational poetry contest and poetry reading event held in April. 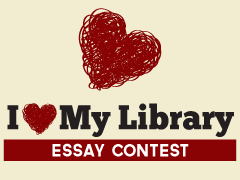 To celebrate Valentine's Day, library lovers were asked to submit an in 500 words or less (children 6 and under could draw a picture) on why they love their library. Enjoy reading the winners from each of the age categories: young child, youth, teen, adult and senior. Library supporters were asked to submit an in 500 words or less (children 6 and under could draw a picture) on their "library story". Enjoy reading the winners from each of the age categories: young child, youth, teen, adult and senior! 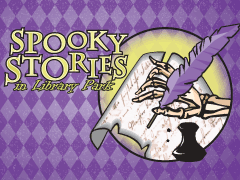 To celebrate the season, the Poudre Libraries involved the community in coming up with the spookiest tale for the season. Authors were asked to keep the stories a minimum of 500 words and a maximum of 1000.